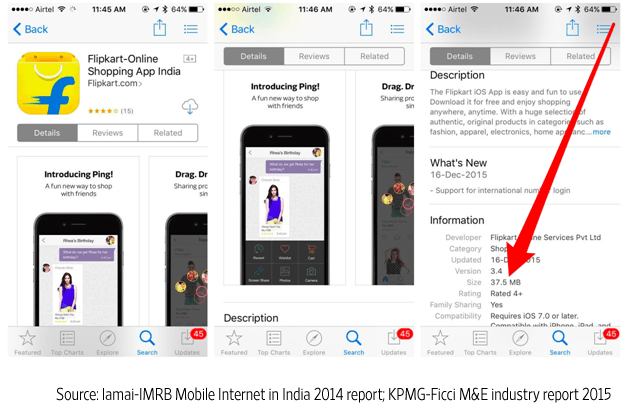 Flipkart re-launched their mobile website on November 10, 2015, ditching their ‘app only’ strategy they have announced in early 2015. We had covered why this was a bad move when they did it. We thought to do a follow-up post and look at the importance of creating the omnichannel customer experience. India is accruing mobile Internet users. 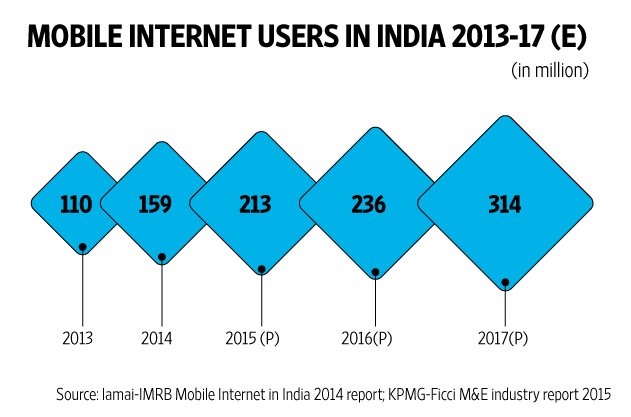 A new report by Internet and Mobile Association of India (IAMAI) and consultancy firm KPMG projects the number of mobile Internet users in India will double from the figures in 2014 and cross 300 million by 2017. 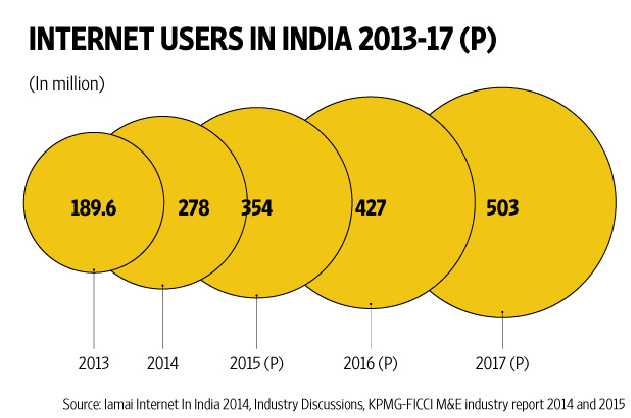 The same time, Internet users in India will almost double from 278 million in 2014 to cross 500 million in 2017. For all the mobile Internet users who aren’t ready to install native shopping apps, which is to serve them? Who is to serve all the 500+ million Internet users- a fair share of them being omnichannel (mobile, desktop, tablets, etc.) Internet users? Who can afford to ignore the user journeys and user behavior in a competitive market where there exist players like Amazon with deeper pockets? Is it all about shaping the user experience and being there for them ‘where the customers are’ over ‘here is the only platform from where we are selling, come to us if you may’? In short, the customer first strategy is always most important than holding full control of the ecosystem? A fair share of the ‘mobile first’ Internet users are on entry-level smartphones and for the storage space is an important issue. One would be able to decide if they need to keep a shopping app that they may use once or a couple of times a month over pictures or videos that matter. Installing the app each time just to make a purchase isn’t logical either- especially when your customer is on a ‘metered’ or a slow Internet plan from Tier 2 or 3 cities; and could also possibly skew the analytics, mimicking the new installs for a new user. Customers will want to avoid installing an app to make a purchase when they have the choice to do that without installing the app. It’s important how brands handle impulse purchases. Who is to serve all the 350+ million Internet users- a fair share of them being omnichannel (mobile, desktop, tablets, etc.) Internet users? While there are over 200 million mobile Internet users, there is a lot of latitude from the bigger 350+ million Internet user pool where the mobile Internet users fall by. Serving customers omnichannel important- brands cannot ignore customers in other channels (desktop, mobile web, etc.) and to overlook the buying conveniences the customers have with a different channel they are not willing to serve. For example, customers prefer buying or to have a ‘bigger screen’ experience for products on a desktop prior to the purchase over buying or to ‘experience’ the same product on a smaller screen. This is why the desktop website is equally important. It’s a consensus that the true winners will be for brands that are ready to provide experiences multi-channel. E-commerce players based in India has another 500-pound gorilla in the room to deal with- Amazon. The one that has deeper pockets, big data expertise in orders of magnitude greater than Google or Facebook when it comes to customer buying behavior, recommendations, understanding into what people actually buy, or what they might want to buy soon. Again, the trove of information Amazon sits on about individuals’ product views, purchasing, and product review histories with the ability harness the data for better conversions means Indian players cannot afford to miss valuable user behavior data they are to accrue from other channels. Understanding the consumer journey is essential to create better experiences and refine them. You would be leaving millions on the table for the one decision to only serve from a single platform. 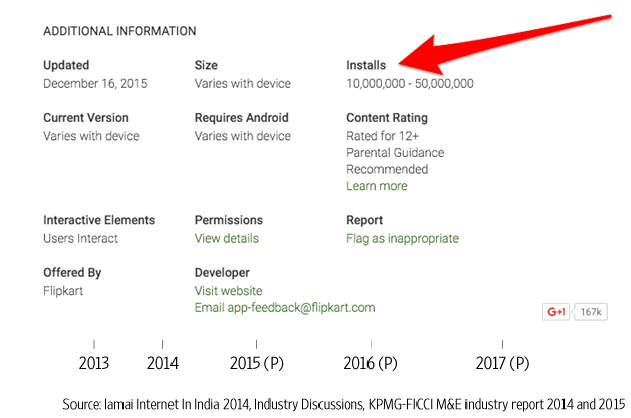 Flipkart’s Android app page shows that it falls by the 10-50 million app installs slab (one would also need to consider the not-provided estimates of the ‘uninstalls’) the numbers clearly tell us how much more room they had to cater for when the mobile Internet users are 213 million for 2015 even that we add the app installs for other mobile OS platforms. Again, the desktop has it’ share in the consumer journey and the close understanding of Indian digital consumer behavior requires multi-channel efforts- serving customers from the desktop website cannot be ignored. Brands that stand to put customers ahead of anything else in shaping their experiences need to serve them from channels where their customers are. Catering from a single channel, ignoring customer conveniences and the micro-moments of users and to have them come to where you are instead to be there where they are, can never shape good experiences or loyalty when purchases happen over multiple devices, and customers require a seamless experience across each platform.